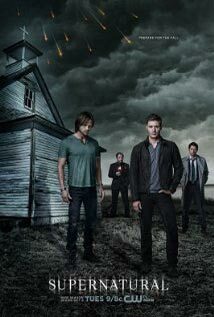 Supernatural Season 5 Episode: 2 - Good God, Y'all! Supernatural Season 6 Episode: 1 - Exile On Main St.
Supernatural Season 7 Episode: 8 - Season 7, Time for a Wedding! Supernatural Season 8 Episode: 2 - What's Up, Tiger Mommy? Supernatural Season 9 Episode: 23 - Do You Believe in Miracles? Supernatural Season 11 Episode: 9 - O Brother Where Art Thou?